Skoda’s new Fabia estate offers great fuel economy and green credentials. In fact, it has just been voted Best Green Estate Car by the Daily Telegraph. The 1.4 TDI model boasts just 109g CO2 emissions per km which is down to a number of clever solutions including the diesel particulate filter fitted to the engine, raised front bumper, and improved aerodynamics. A Skoda spokesman said the Fabia estate offers a unique proposition in the market, as it has the fuel efficiency and cleanliness you’d expect from a small green car but with a lot more load space. 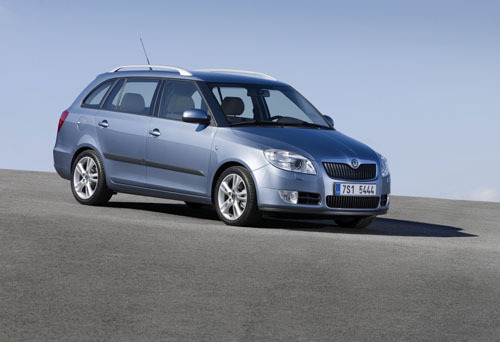 The spacious new Skoda Fabia Estate offers a class leading 1,460 litres of stowage.